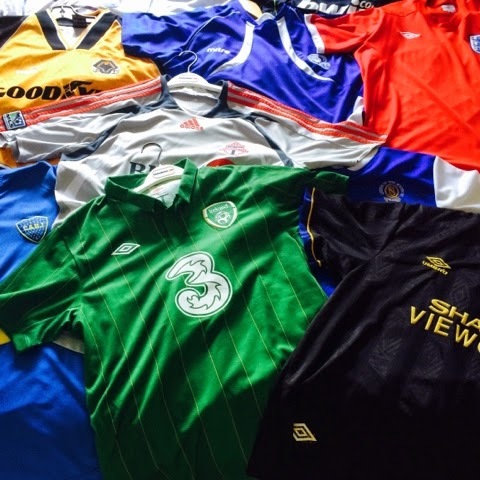 When you're a football fan like I am, chances are there a few kits hanging in your closet. While I do have quite a few in my own collection, I have friends who have enough to fill several closets and are running out of places to put them. Most of the kits I have in my collection make sense based on the club and country I support, but there are also the random ones that I probably picked up after a few too many beers prior to visiting a market in Cancun or those I bought because I needed a black kit for a kickabout and forgot that I already had seven at home. I have kits that family have sent me of the club's they support, like an old Napoli kit I have in my collection and Alianza kit from El Salvador to go along with the ones I've spent my own hard earned cash on. There are kits which I won in pub draws, like my Ireland kit courtesy of An Sibin Pub, and a couple of cheap knockoff Manchester United kits from a 42% authentic Chinese sporting goods site of questionable quality. By questionable quality I mean that two of them gave me a rash and at least five of them fell apart on the second time through the wash. It tells you about the state of the world when you can't trust a good knock off jersey site anymore. 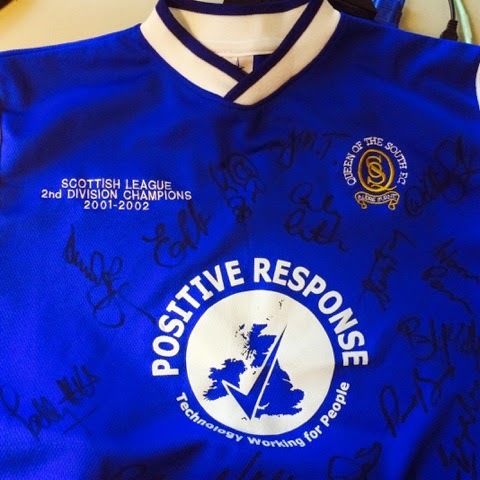 The oddest kit in my collection though is a 2001/2002 Queen of the South FC kit. 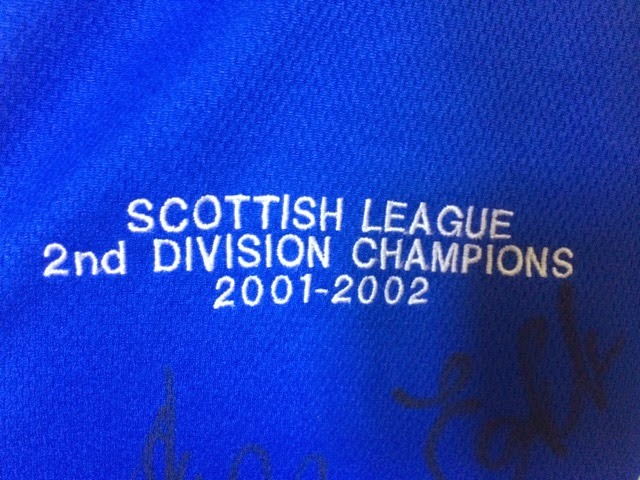 It's odd in the fact that I don't follow Queen of the South, or even Scottish football really for that matter, yet this is a genuine Second Division Champions emblazoned kit that is signed by the entire squad. In the pre-Internet days when you couldn't easily verify facts, and this site wouldn't exist for that matter, I could spin an elaborate web of lies about how I was a reserve striker for the club that season and was called in during an injury crisis to provide some much needed firepower up front. But for any of my friends reading this that have seen me play, they'll know that the Scottish second division isn't that abysmal. Alas the story is not as exciting, but is a little strange at least. The Queen of the South kit came into my possession courtesy of a woman I used to work with. Out of the blue this lady came over to me one day and said "Judging by all of the soccer pictures on your desk, I thought you'd like this jersey. One of the players on this side dated my daughter and gave me this. It's just been sitting in a closet, so you may as well have it." I asked her the name of the player, but she couldn't remember sadly. Ah well, it was a nice gesture and yet another weird one for my collection.